Sorry, ShareSpace has closed permanently. Thanks to everyone who was part of it! 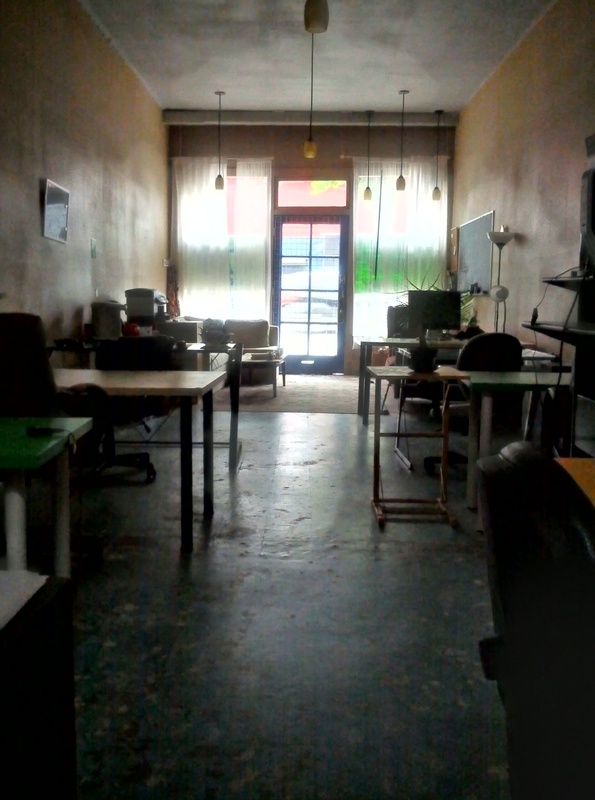 Search for other coworking spaces in Berkeley or in Oakland. Get a key code, reserve a desk, and leave your office setup (e.g., a monitor) here. If you'd like to drop in occasionally after trying the space out, you can. 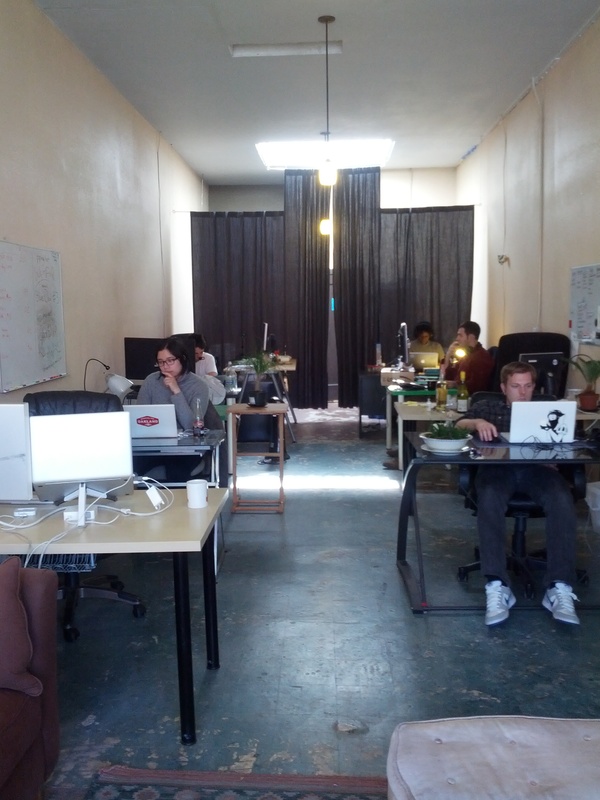 Why should I try coworking? 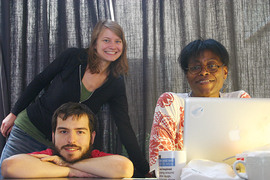 Coworking is a new way to work. Since many jobs can be done with simple computer equipment and a mobile phone, lots of people can work at home or at a cafe some days, or even every day. If you've ever tried it, you may have noticed that working at home can be unproductive and isolating, while cafes and libraries are not ideal workplaces either. Into this void steps your friendly, local coworking space by providing a secure place to get some work done among your peers. According to Deskmag's 2nd Annual Global Coworking Survey, the number of coworking spaces has more or less doubled every year from 2006 to 2012. That's exponential growth! Clearly a lot of people like the idea of getting out of the house. Why should I try ShareSpace? Compared to other spaces we've tried, ShareSpace is more relaxed and informal and much more economical; no East Bay space we know of lets you reserve a desk at a rate anywhere near ours. We're right next to BART, quick food, and more. Finally, we're completely free to try and want you to come in! Is it OK to make phone calls in the space? Yep; we understand that you might need to make or take calls in the space for your work. We just want everyone to be respectful of others and we'll let you know if there's a problem. Conversely, if you want to block out noise you may want to use headphones sometimes, as at most shared workspaces. Can I bring lunch? Are there good places to get lunch nearby? We have a mini-fridge and microwave if you want to bring lunch, and coffee and tea. We're next to a nice neighborhood market and deli, convenient for snacks, and a few blocks from Berkeley Bowl. Also nearby: Flaco's, a small vegan Mexican restaurant and Crixa Cakes, a popular bakery and café. The streets nearby don't require a zone parking permit (see map) and you usually won't have trouble finding a space. Harper St., just past Martin Luther King when driving west, is a good place to look. What if I'm biking in? You can bring your bike into the space. If you're biking to BART, Ashby BART has free racks as well as a low-cost, camera-monitored Bike Station. Are there closed-off meeting spaces or offices? Sorry, we only have one shared space, no offices or meeting rooms. What kind of Internet access is there, and what other resources? There are currently two Wi-Fi networks with a Comcast business cable connection, and we have a networked printer/scanner. Members can also receive mail and packages here. Can I reserve a desk to use? With 24/7 access you can pick a desk to reserve. Remember that coworking is still different from having your own space. For example, others have access to the whole space, and we might rearrange things sometimes. What can I leave at the space? Anything you want, though you leave it at your own risk: other people have access to the space, and we can't guarantee against loss, theft, etc. If you have important papers or valuables, you may want to bring a lockbox or safe for them. You can pay via PayPal, or pay by credit card (Visa, MasterCard, American Express, or Discover), or cash, when you first start service and at the start of each month from then on. Are month-to-month (or shorter) arrangements available? For 24/7 access, you need to sign up for at least one month of service, but you can start and end any time. For instance, you could start January 15 and end February 15 and pay one month's charges.